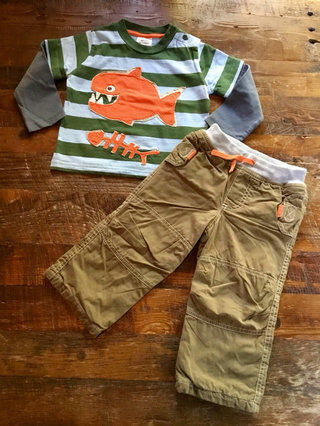 Adorable outfit by Jumping Beans. 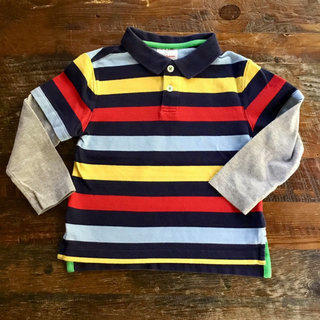 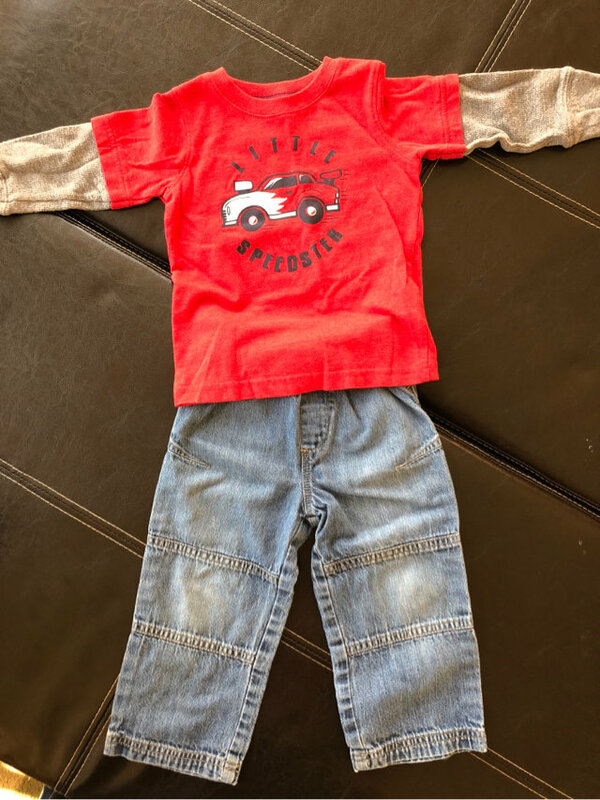 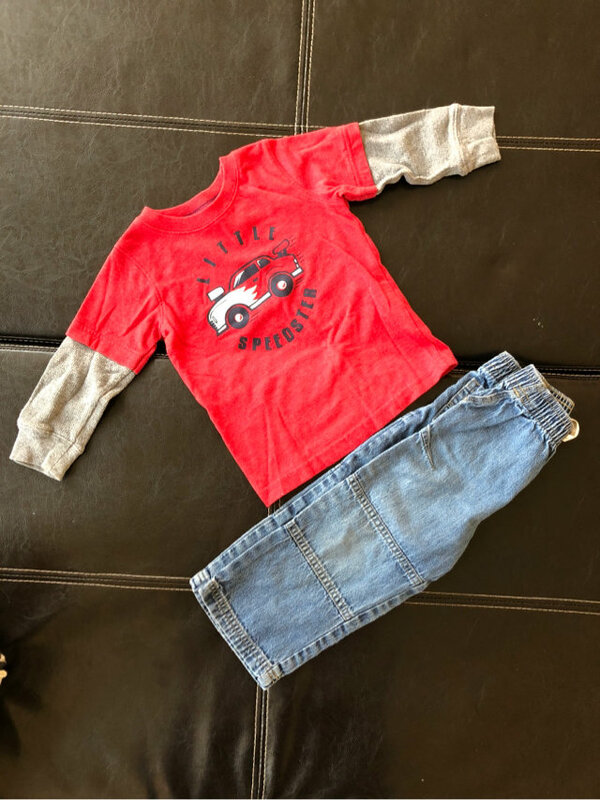 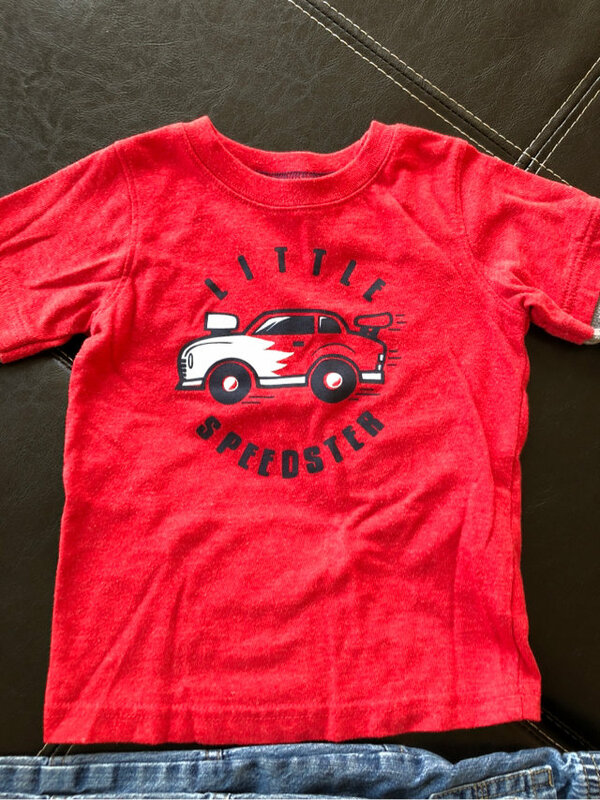 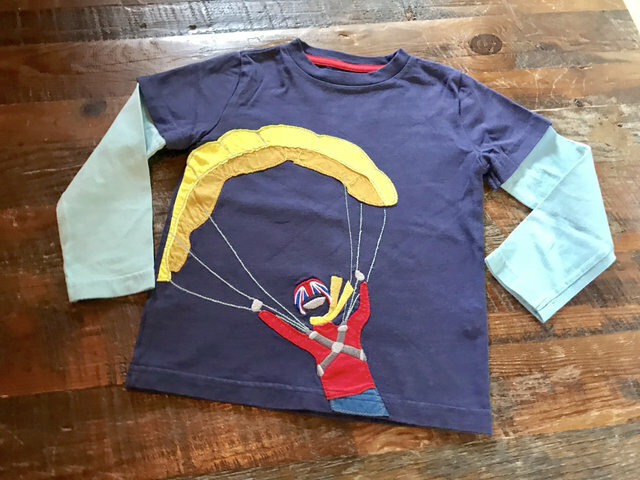 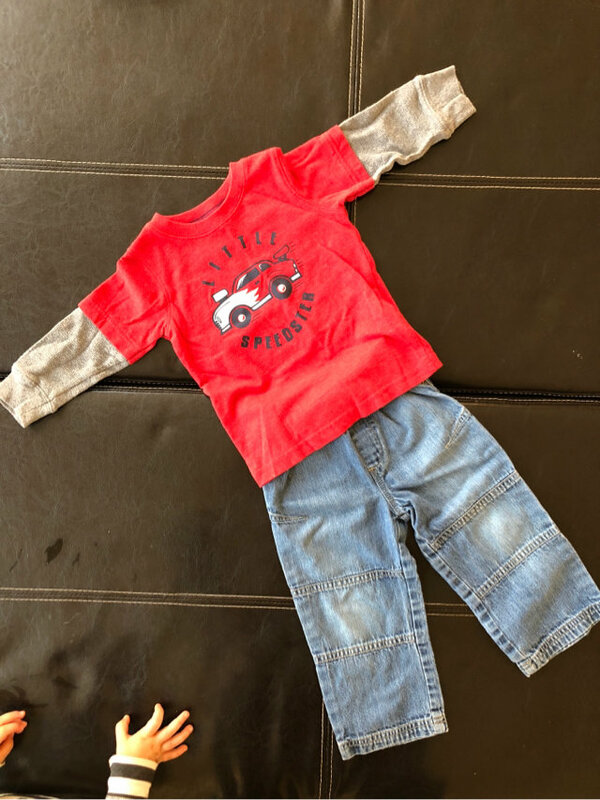 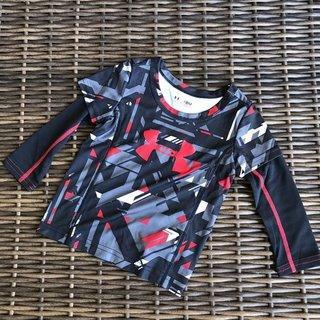 The top is red with long sleeves and “Little Speedster” with a car on the chest. 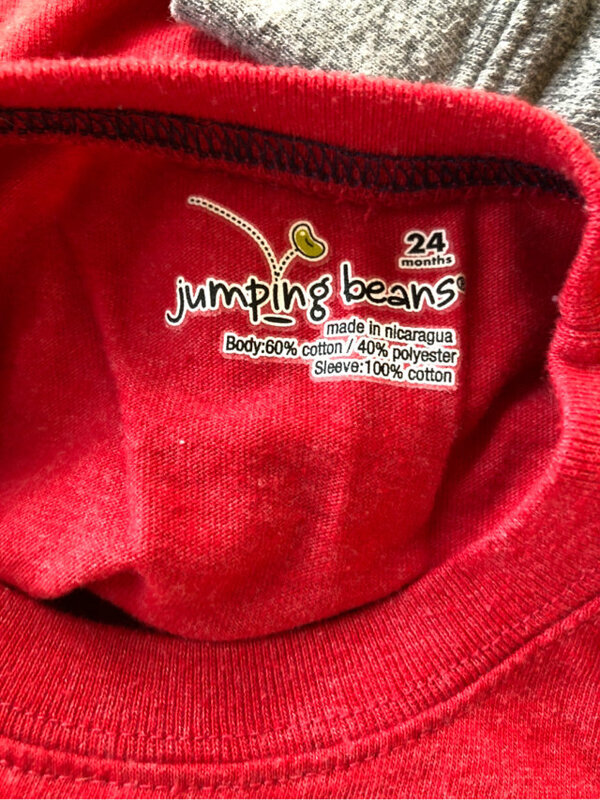 The ends of the top are thermal. 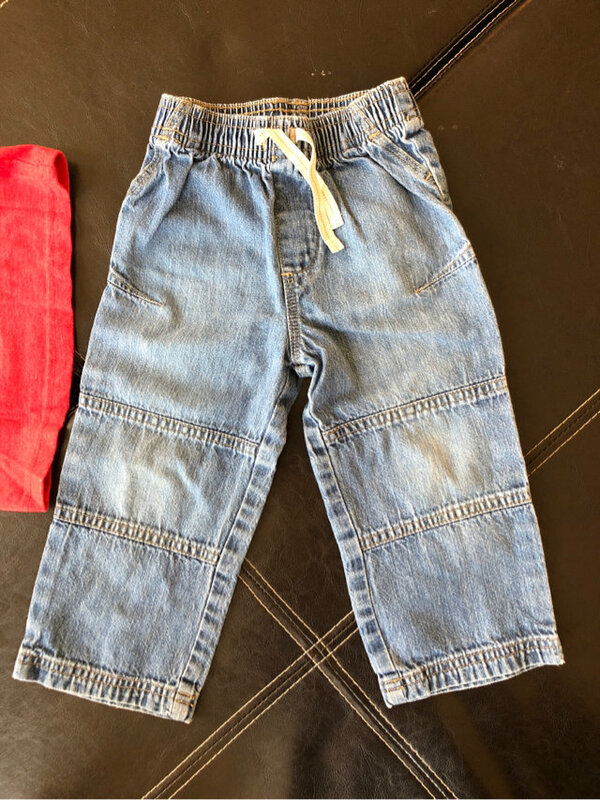 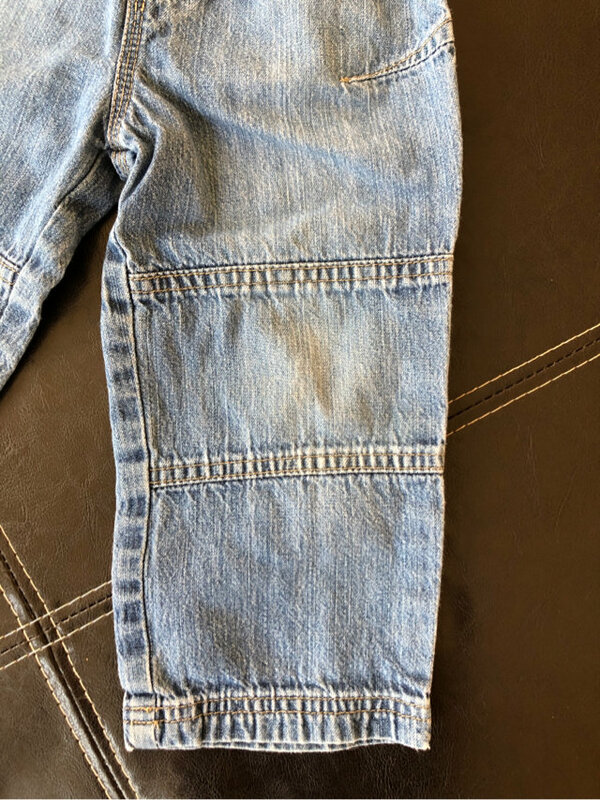 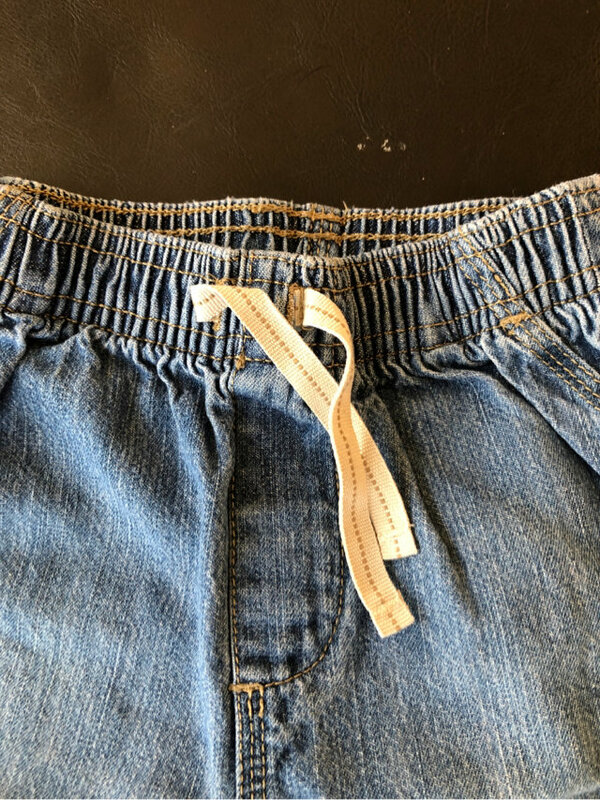 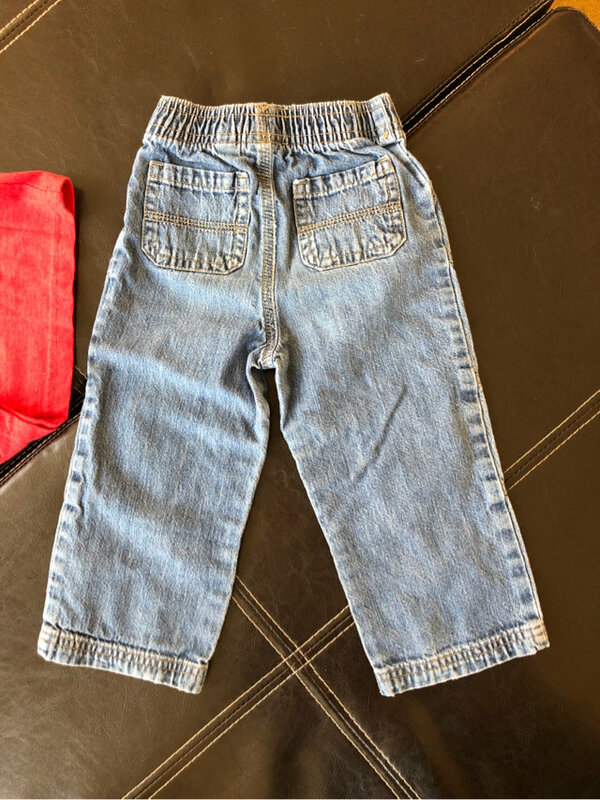 The jeans have a tie string top with two pockets on the front and back. 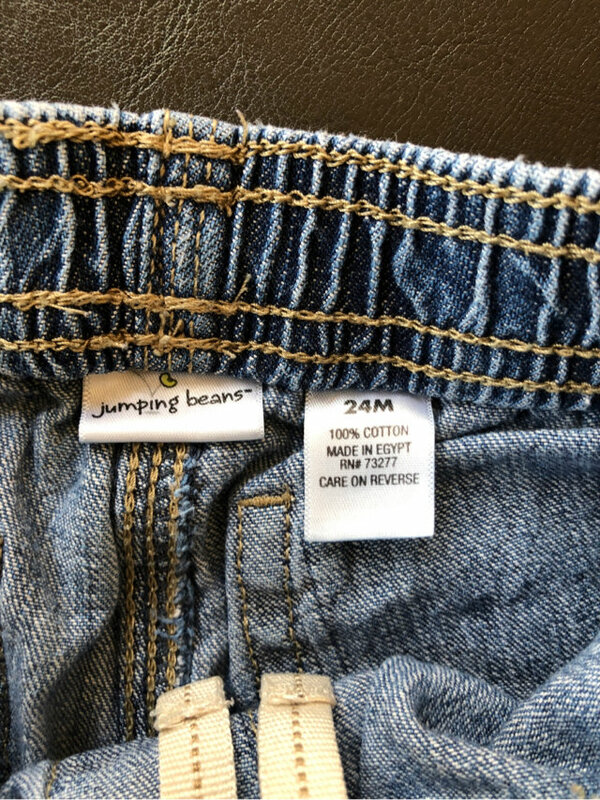 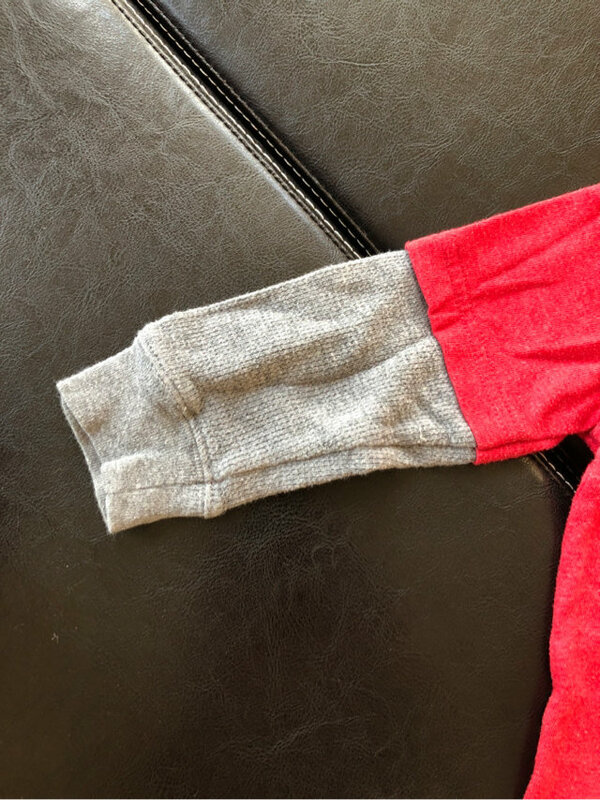 Size is 24 months.